It seems like a simple concept—knowing where your food comes from. But unfortunately, seafood lovers rarely know how their fish got to the dinner plate. A complex and opaque seafood supply chain opens the door to illegal and irresponsible fishing practices, seafood fraud, public health risks, and even human trafficking, forced labor and organized crime. These problems threaten the oceans and consumer’s wallets, and unfairly undermine honest fishermen and businesses that play by the rules. But these are fixable problems. The first step in ensuring that seafood is safe, legally caught and honestly labeled, is traceability. Traceability increases transparency and accountability in the seafood supply chain by ensuring that information such as how and where fish are caught or farmed follows the fish from boat to plate. The ability to share information along the seafood supply chain reduces the risk of seafood fraud and helps prevent illegally caught product from entering the market. 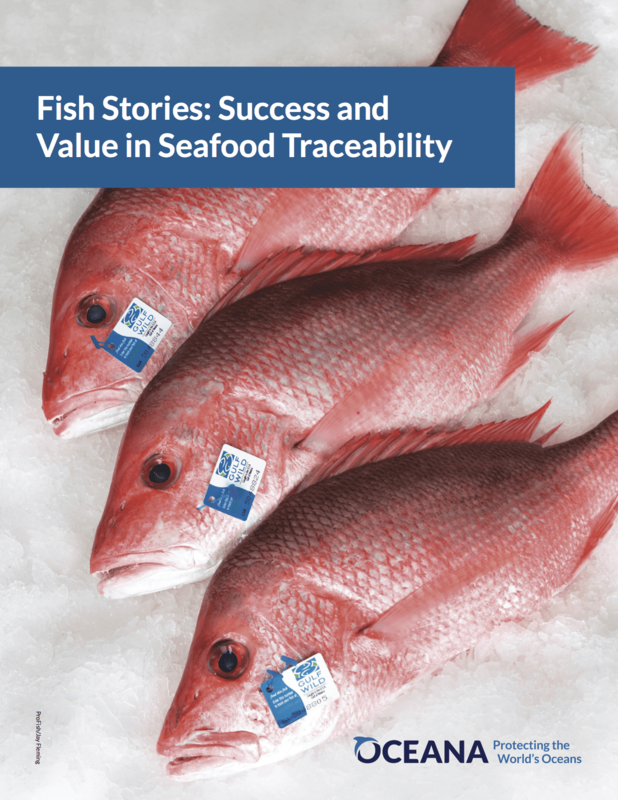 In this report, seventeen traceability pioneers- fishermen, wholesalers, retailers, and restaurateurs- discuss how traceability adds success and value to their businesses. The interviews that Oceana conducted indicate that more and more, consumers are willing to pay top-dollar for seafood products that they know are safe, legally caught and honestly labeled. The Presidential Task Force on Combating Illegal, Unreported and Unregulated Fishing and Seafood Fraud, established in 2014, is developing new requirements for seafood. It has the opportunity to level the playing field for fishermen and seafood businesses that play by the rules. As the process moves forward, the United States should require catch documentation for all seafood and full chain traceability with more information provided to consumers at the final point of sale.